This drawing is really irritating me. I wanted to try a different drawing technique to get more detail in drawing animals leaning more toward a hyper realism (can that be a real phrase) that is lacking in my drawings. I guess want the strokes evident close-up as well as far away. Usually, when I draw I use my own technique which involves: Stroke, Smudge, Smear, Squint and repeat. Yes, I realize smudging and smearing is highly ridiculed and Yes, that’s just how I roll. I do spend time drawing the fur on the neck following how the hair naturally grows. But this drawing is causing quite a bit of stress because I’m completely lost. I have so many graphite layers and not only is the portrait a little more than half finished I have also ran out of tooth on my paper. I can probably spray a workable fixative to finish the piece, but its looking no better than what I usually draw in half the time. And the nose looks like it belongs on Mr. Potato Head. This drawing has lost it’s romance with me and I think I need to move on to something else and add this to my best intention, to be determined pile. I guess what works for some doesn’t work for others. To change the subject completely….. I have been wondering how to respond to comments left on my blog. Although I don’t get many, I like to show my thanks or someone will say something that I want to respond to. I am going to follow suit and respond in my blog. I’m just telling you first before it gets aired on Fox News tonight BAHAHAHAHAHA. Carol, I think it looks great. 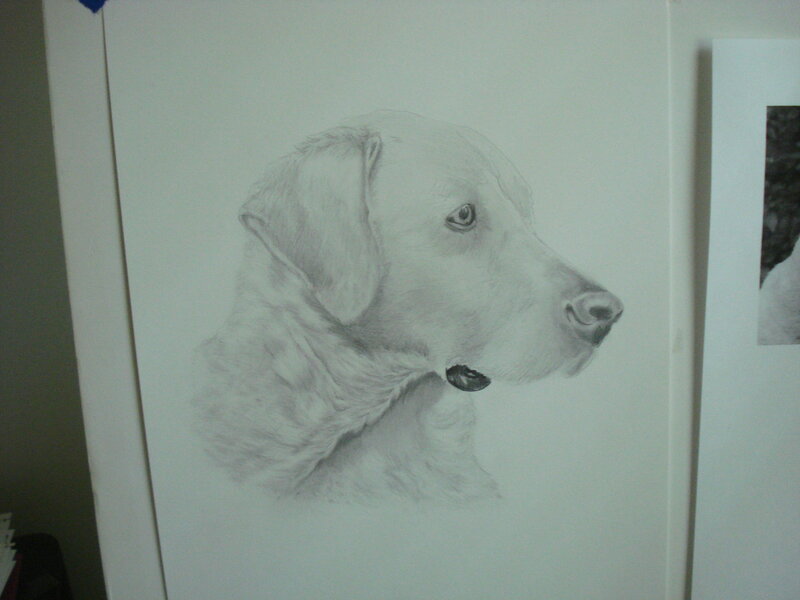 I must admit my only effort at graphite was rather too loose and I wished I had taken more time. I am gearing up to do another one after looking at someone’s work on art and soul forum whcih has really inspired me. But, I will struggle to get it to the quality of his work. I answer comments on my blog most of the time…but, sometimes life speeds by too quickly and I miss being able to respond to some posts occasionally. Thank you Chrissy! I thought I had a lot of patience with graphite, but this drawing proved me different. I admire your ability to just dive in to different mediums and creating beautiful art…graphite will be no different:) I have a fear of “messing up” that I really need to get over because I believe I depend on pencil because it’s familiar and easy for me most of the time. Fear of the Unknown is suppose to be half the fun!